Below you will see published updates from the Market Dimensions Advisory. These are sent in real-time to subscribers. Do Not Miss them going forward, subscribing below for FREE. 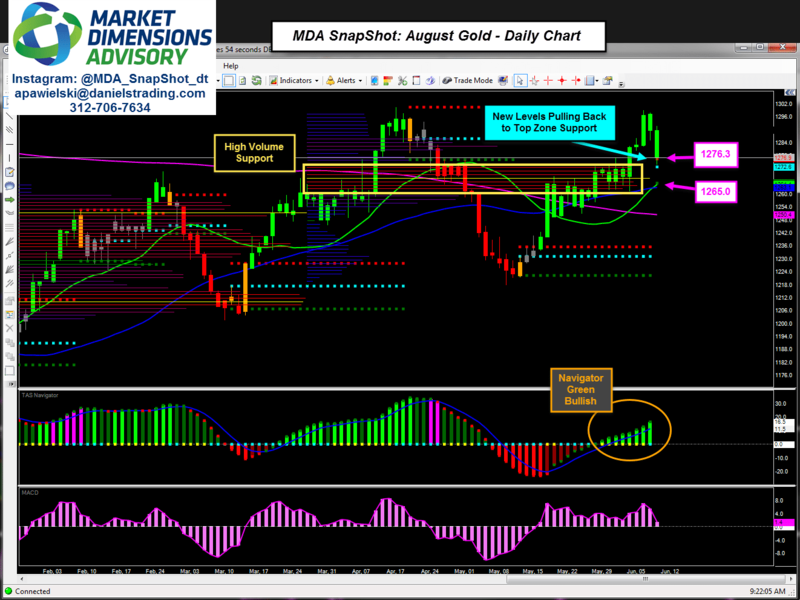 These blog updates are showcasing the levels and positions that potentially could be executed by traders who are following the MDA SnapShot updates. If you would like to follow these trading alerts in real-time and have the ability to speak with me, you will need to subscribe to the newsletter and become a client of our firm. To get these updates sent directly to your inbox, please SUBSCRIBE Below. Gold is a market I have had my eye on. 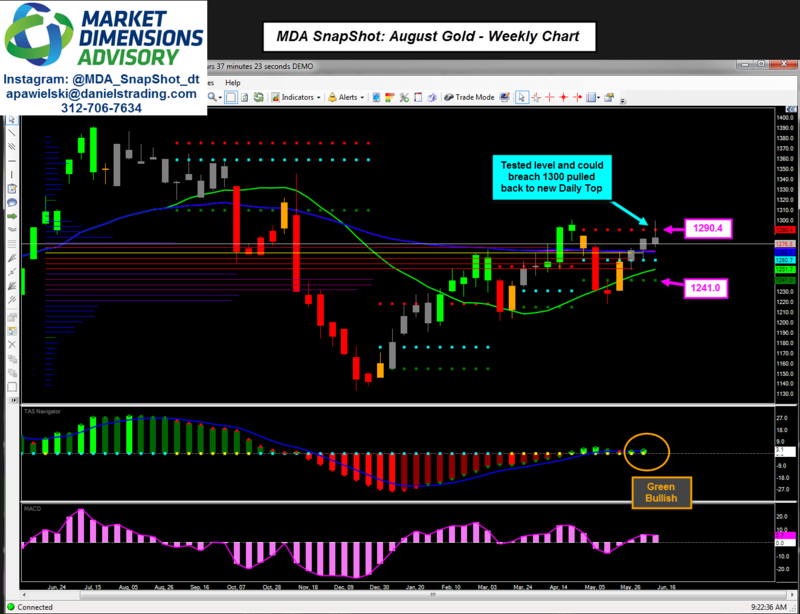 We have highlighted several buying opportunities in the MDA updates on this bullish run up to 1300. Those who are using the charts on their own have been able to participate in many of these trades that we have discussed over the phone. Gold made a run at 1300 and failed to break and close above. We have seen selling levels penetrated on the shorter time frames so we have a most recent bearish tone in place when looking at Market Action Scanner. However, when you look at the Daily and weekly time frame, we are seeing a couple interesting items. When looking at the Daily time frame, you see that we have had new levels form and we are now pulling back to that top zone and sitting on a very high volume zone. When looking at the weekly chart, you see that we traded through the weekly top zone but we have been unable to hold but we still have time today and tomorrow to challenge and close above. Essentially we made a run @ 1300 and Bulls failed to break it. I think they will be targeting that again. Below you will find both the Daily and Weekly Charts. Look to play this retracement using these levels. When using a daily time frame risk is always extended further, but we look to take larger profits. Remember their Mini and Micro contracts in gold. Specifically look at these minis below. REMINDER: Make sure to signup for my LIVE MDA SnapShot Webinar every Wednesday. You will be able to see all of these tools in real time, as well as, the markets and time frames you want to watch with instant analysis. Even if you cannot attend live, sign up, as you will get a recast email of the event.